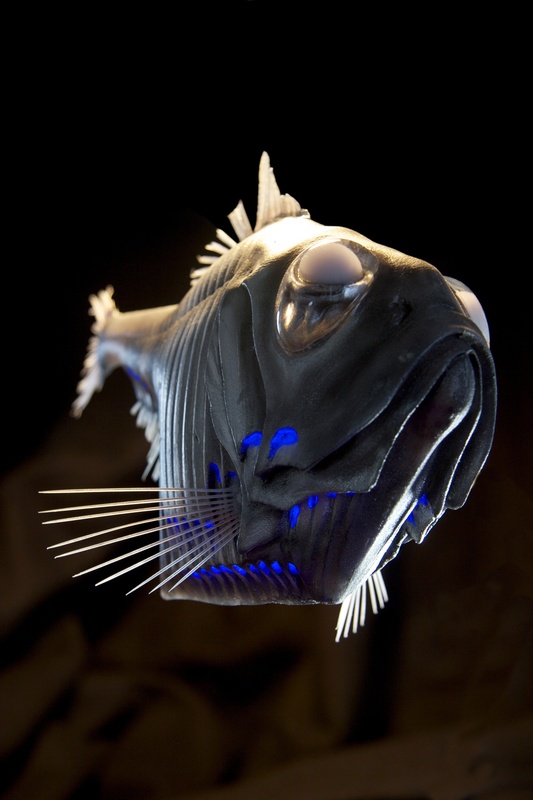 This deep sea wonder also goes by the charming name of The Half-naked Hatchetfish. The body is deep and laterally extremely compressed, somewhat resembling a hatchet (with the thorax being the "blade" and the tail fin attachment being the "handle"). 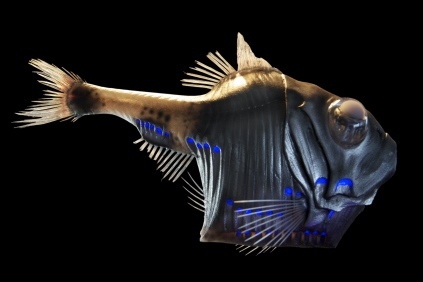 It feeds on zooplankton, and are globally distributed in the deep sea. It is a small hatchetfish rarely exceeding 38 millimetres in length, and has light-producing organs on its body. These allow them to use counter-illumination to escape predators that lurk in the depths: by matching the light intensity with the light penetrating the water from above, the fish does not appear darker if seen from below. Its large, sometimes tube-shaped eyes can collect the faintest of light and focus well on objects both close and far where light barely penetrates.